This 1-hour online course is designed to introduce and/or reinforce ethical concepts for the practicing engineer and design professional. This course provides a discussion of professional ethics with real life scenarios and a review of relevant statutes and rules. The course encourages meaningful thought on the definition of ethics, the importance of ethics in the construction industry, and the consequences of non-ethical behavior. 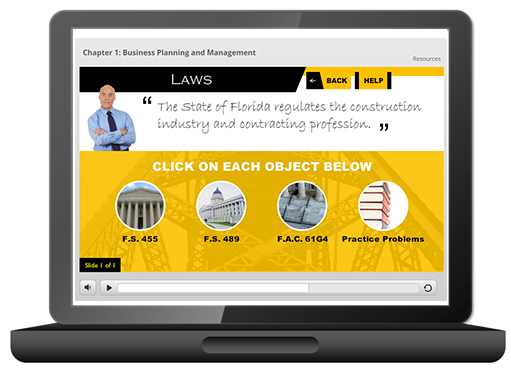 Course Completion and Reporting: To complete this online course, you must view all slides in the course presentation, meet the 1-hour minimum course time requirement, and pass the 10-question, multiple choice, end-of-course online exam with a score of 100% (unlimited exam retakes). Upon passing, you will be able to print the hard copy completion certificate for your records.